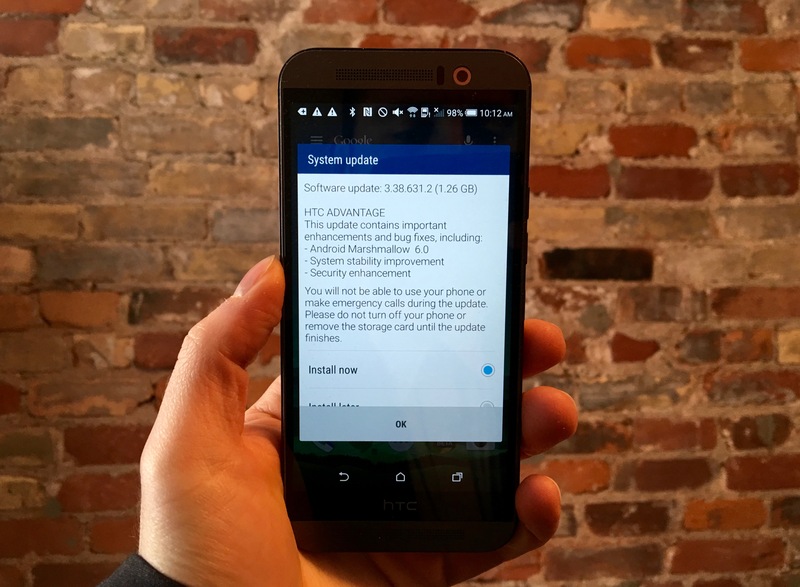 As promised, HTC and some its Canadian carrier partners have released the Android 6.0 update for the HTC One M9. Customers of Rogers, Wind Mobile, Videotron and SaskTel can now pick up and roast some Marshmallow on their Snapdragon 810-powered One M9s. Those who purchased the device on other carriers such as Bell and Telus will have to wait a bit longer. The update, though to Android 6.0 and not the newer emoji-filled 6.0.1, features important upgrades like Google Now on Tap and Doze, along with improvements to HTC’s camera app and general performance enhancements and bug fixes. Though the One M9 was heavily criticized for being too minor an upgrade over its predecessor, itself a problematic update over the One M7, the device still reportedly sold quite well across Canada. To initiate the update, head to Settings/About/Software update. Most users will need to download a small interim bundle, around 130 megabytes in size, to prepare for the full 1.27 gigabyte Marshmallow payload. Once updated, let us know how it works out for you.